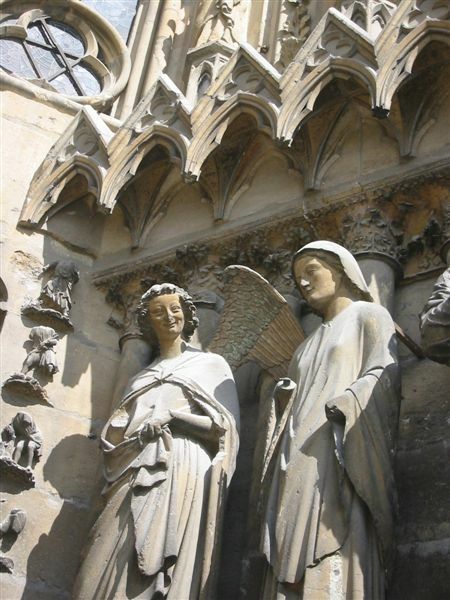 France outside Paris: Laughing angel at Rheims Cathedral door. Laughing angel at Rheims Cathedral door. This happy angel is Gabriel. There is another laughing angel, l'ange du sourire, on the left front door.